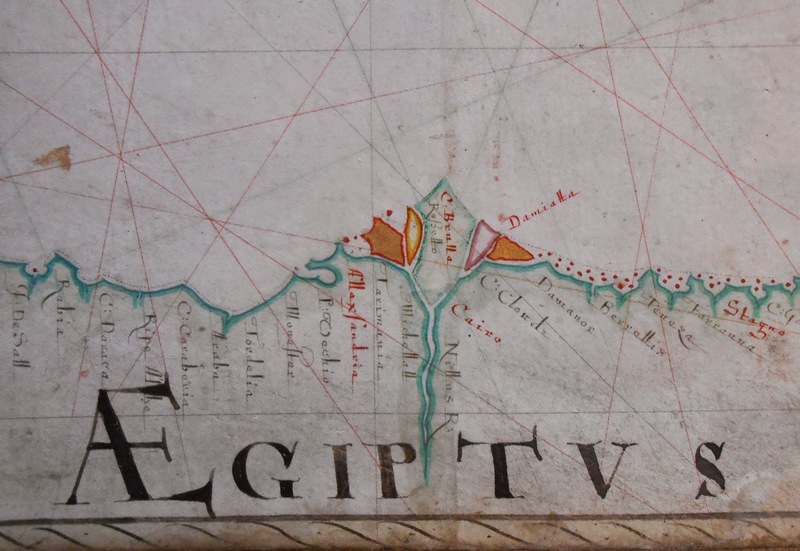 Published on June 24, 2014 June 30, 2014 Author Rauner LibraryLeave a comment on Sailing to…..
Before Mercator, pilots used charts that showed the location of ports and coastal features and provided directions on how to navigate between these points of reference. Details of the coast were critical as vessels often chose to sail closer to land to mitigate potential open sea and weather hazards. 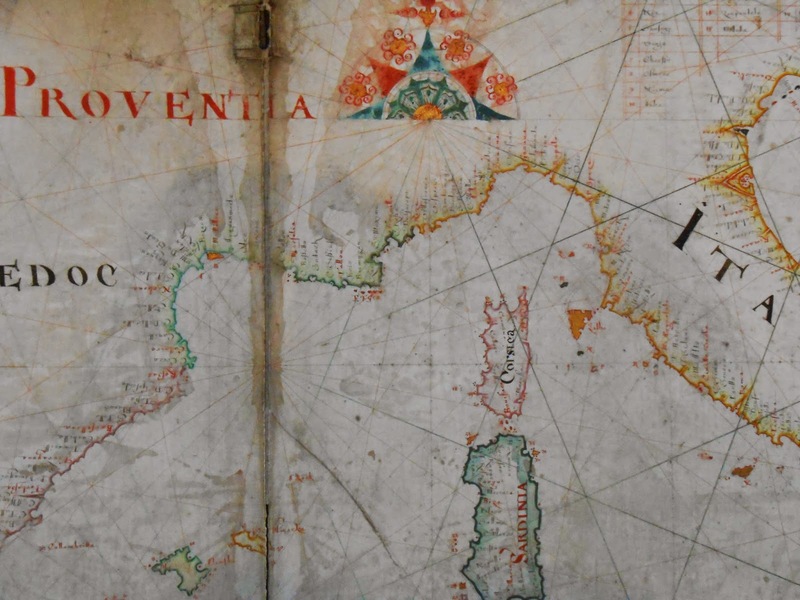 These earlier maps were known as portolan charts - a name derived from the Italian - and are often fantastically detailed and depict the coastlines of the major land masses with stunning accuracy. 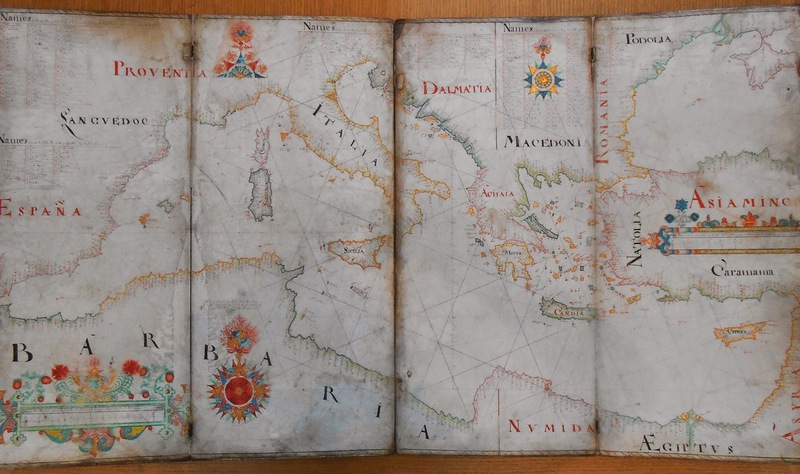 Our portolan chart was made by Nicolas Comberford around 1657 in Redcliffe, England and depicts the Mediterranean and Black Sea. True to the style, numerous coastal towns and cities are pinpointed and the small islands of the area are numbered and listed in tables in the interior spaces of the adjoining countries. As with most portolan charts, the interior land masses are left largely blank since the focus of the chart was navigation on the water. Unlike most portolans, Comberford has not included the standard compass lines connecting major destinations, opting instead for a more open grid to demonstrate direction and relative distance. The chart is constructed of vellum attached to hinged and folded oak boards. 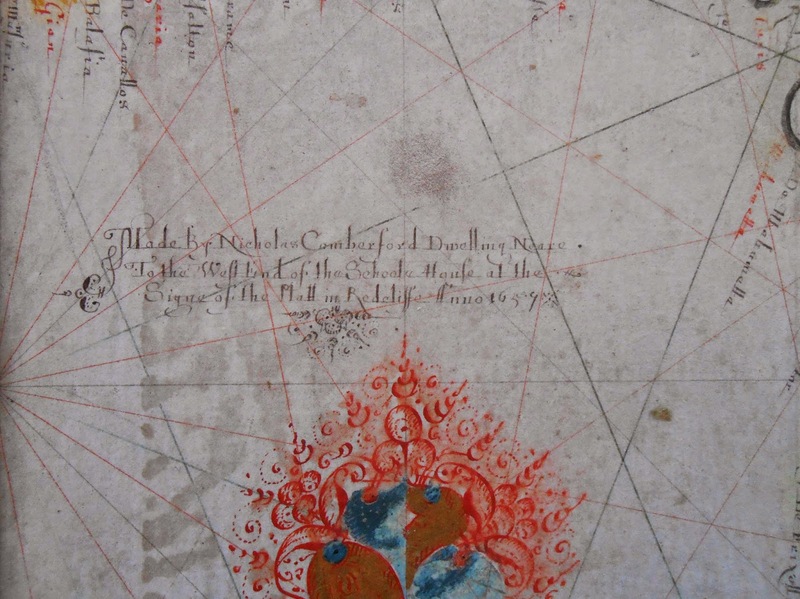 Despite its use on ship, the map shows very little water staining and is brilliantly colored with gold leaf accents. Though the map apparently belonged to a Captain John Smyth, this is, alas, not the Captain Smith of Virginia fame. That Captain Smith died before the creation of this chart. Ask for Codex 657940 to see the chart. Published on June 24, 2014 June 30, 2014 Author Rauner LibraryCategories Rauner Special Collections LibraryTags Geography, History of Science, MapsLeave a comment on Sailing to….. The USGS has just announced a new online, interactive sediment data portal that provides access to more than a century’s worth of data, representing the best available compendium of suspended sediment data for streams and rivers across the nation. Ever since sediment samples were first collected in 1889 by pioneering engineer Frederick Newell and 14 of his colleagues on the Rio Grande River at Embudo, N.M., the U.S. Geological Survey has continued to collect and record information on sediment transport in streams and rivers across the Nation. Too much sediment can harm aquatic life and reduce the storage capacity of reservoirs affecting water supply and flood storage. In some instances, too little sediment can also be an issue. For example, decreased amounts of sediment in the lower Mississippi Basin have been identified as the primary reason for the loss of thousands of square miles of wetlands off the Louisiana coast. The portal provides easy access to valuable long-term data sets that can be useful in assessing how landscape modifications are affecting sediment transport in streams and rivers. Information on sediment concentrations and grain size can help identify appropriate and cost-effective sediment monitoring methods. Sediment data and ancillary data on streamflow condition, sediment grain size, sampling method, and landscape condition are also available for download within the portal. * Special thanks to Emily Wild, US Geological Survey Librarian, for sharing this announcement. In November you get to celebrate all the ways geography impacts your life. The week of November 17th through the 23rd is Geography Awareness Week. The National Geographic Society sponsors the week. It's also the Society's 125th birthday. Also during that week, on Wednesday, November 20th, is GIS Day. It gives everyone who works with anything geospatial a chance to talk about what they do. Did you ever wonder how a web site knows what store is closest to you or how your travel routes are created? That is GIS at work for you. Geographic information systems (GIS) is a way to store, analyze, manipulate, manage and show geographic data. Once you have the data within the system, you can ask questions about the data and see the results. Stay tuned for more information about GIS and geography in your life every day.